Hi, all! Before we jump directly into week 5 of the One Room Challenge, I have to say hello to those of you that are new to Because It's Awesome. Welcome to my [awesome] little corner of the interwebs! I am beyond thrilled to have you here. Having been recognized as one of Domino magazine's top 24 blogs of 2015 is a serious serious honor -- I mean, just to know that the people behind that glorious mag are paying attention is such a thrill in and of itself -- and having some new friends is icing on the cake. 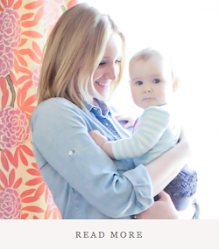 I'm even more determined than ever to get back to blogging regularly. If you want to see the starting point, you can do that here. Then you might as well see where I'm going with the space here. 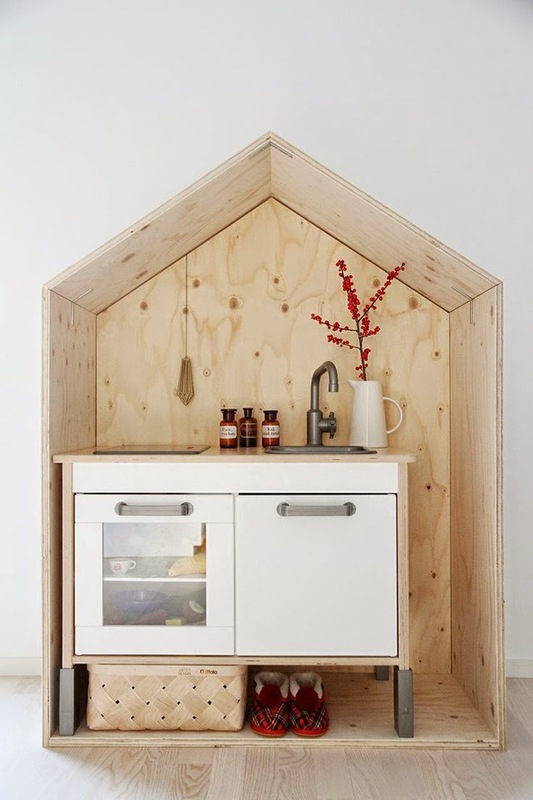 In my dreams, we'd add marble subway tile and countertops to the plan. 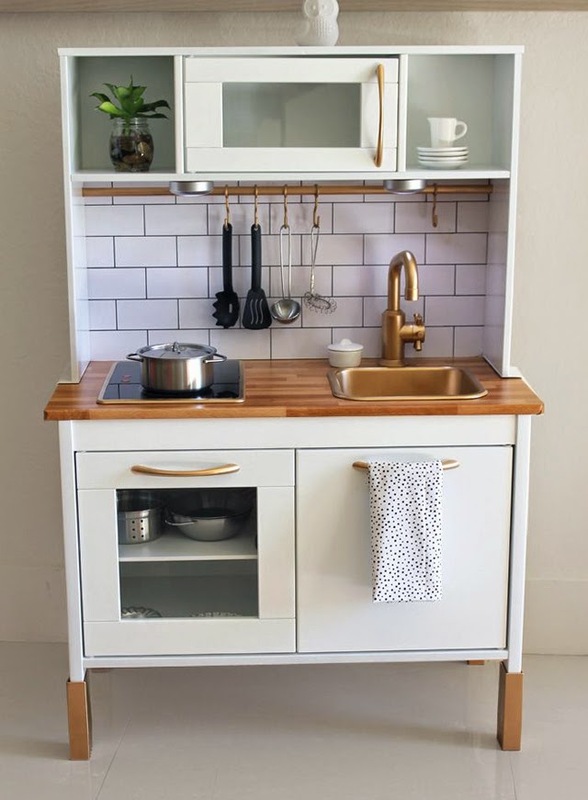 But my dreams have zero budget constraints, and real life most certainly does so counters and backsplash stay. We diiiiiddddd finally decide to go for it on a new fridge! Yesssssssss. No more awkward gap between the fridge and the cabinet above, no more dirty (looking) water and ice dispenser, no more limited capacity side-by-side freezer/fridge situation, and no more sticking out from the counter six inches (which makes a pretty significant difference visually if you're wondering). My mom and I also swapped kitchen rugs, and I'm loving the lighter vibe of the new one so much! With just a few days to go until the big photo shoot, I'm pretty much in styling territory. 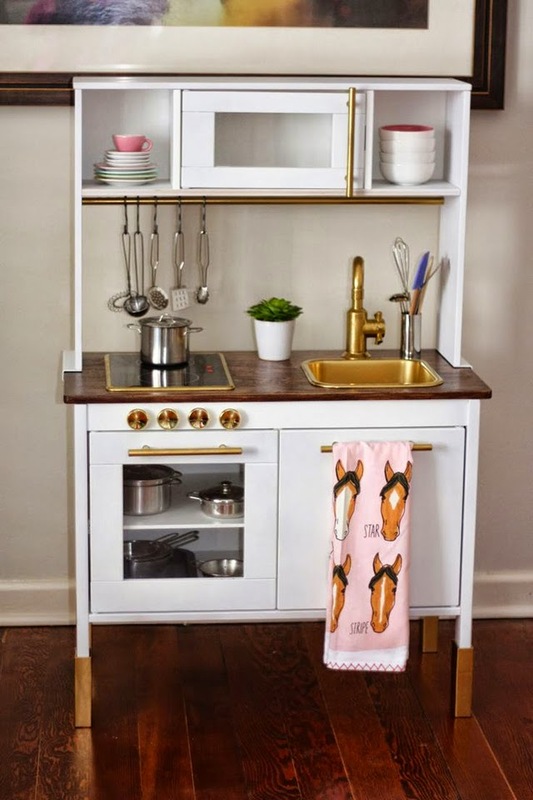 I mean, Ava's play kitchen still doesn't have "marble" countertops or a "porcelain" sink (both of which I'm faking with paint), but her brass hardware has been "installed" and looks fabulous against the gray cabinets. She's going to care about all of this while cooking her felt fruits and veggies, I'm sure. 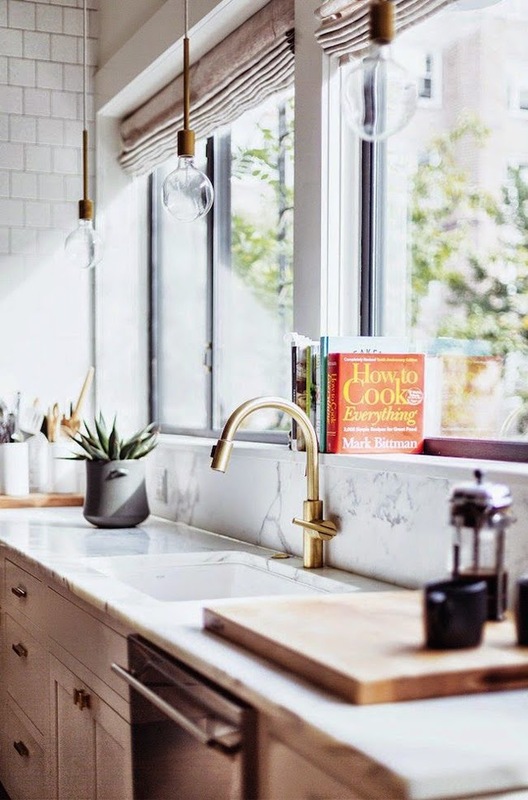 How about some kitchen styling inspiration from a few of my favorites on Instagram? There's the obvious issue of most of these being white on white on white, but I'll do my darndest. I'm debating hanging a mirror instead of art on the one empty wall in the space. Maybe one of these? Other than that, I'll be getting the adjacent spaces in shape -- namely the porch since it's visible from the eat-in. I've been eager to get the patio together anyway, so no better excuse! We have a busy weekend ahead of us outside of the kitchen prep...fingers crossed I'm able to accomplish everything left on the list in time for the shoot. *See what everyone else is up to here and here. 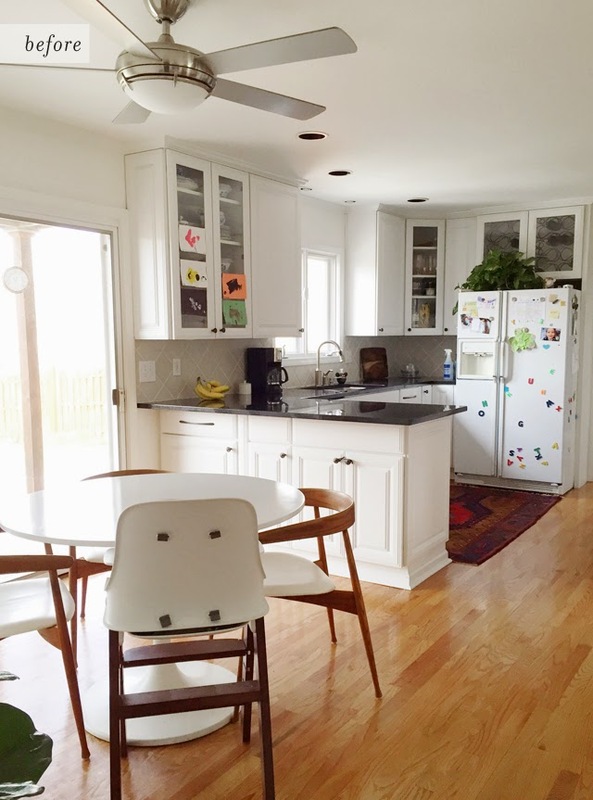 Because It's Awesome kitchen update is sponsored by but not exclusively furnished by Bellacor. All opinions are expressly my own. 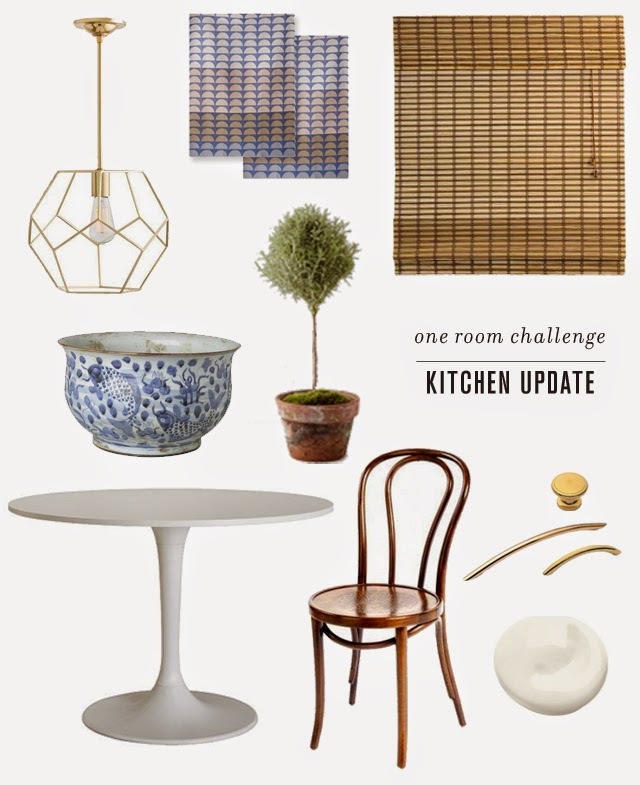 It's week 4 of the One Room Challenge, which means over halfway to the finish line. (See previous posts here.) We're moving right along! The window treatment from Overstock is in and will go up later today. You guys should know that I love me some blue and white. 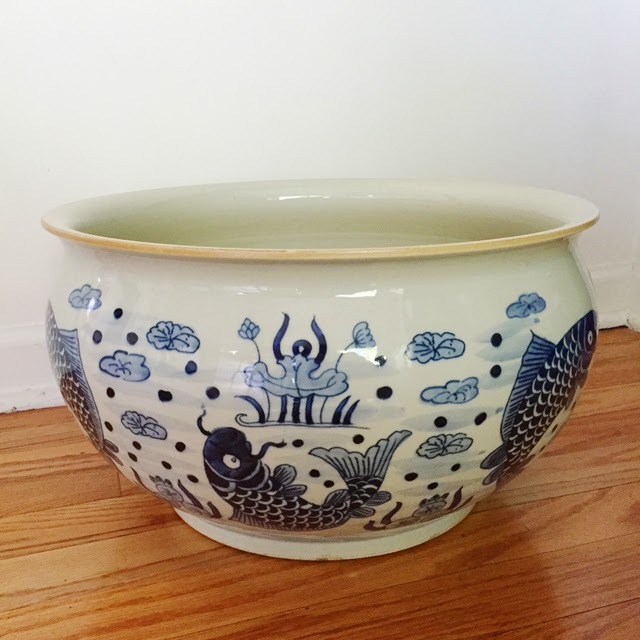 This glorious planter arrived last night, and I can't wait to decide what should go in it! Ava's kitchen makeover is underway as well. 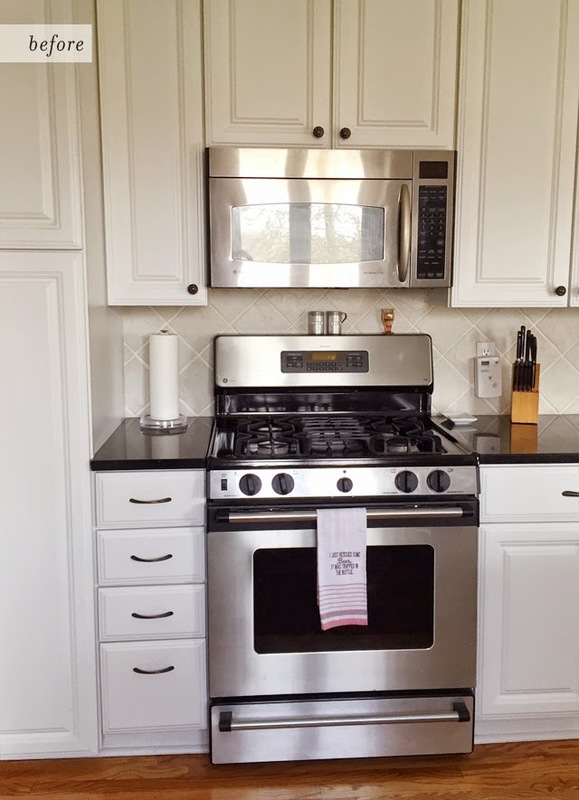 I was undecided between the same Benjamin Moore White Dove as the rest of the kitchen and a can of medium gray leftover from an art project. So I let Ava choose. That's it for this week. 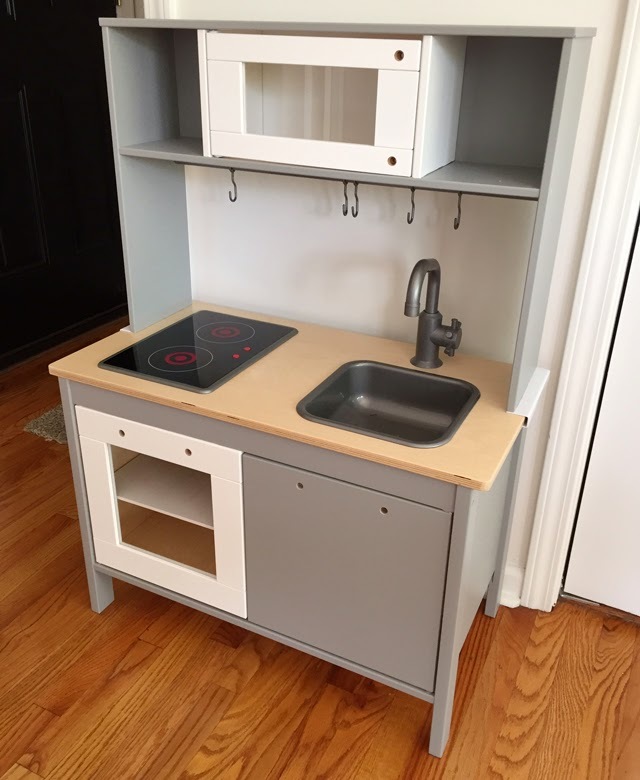 Hoping to have Ava's kitchen completed by our next update. 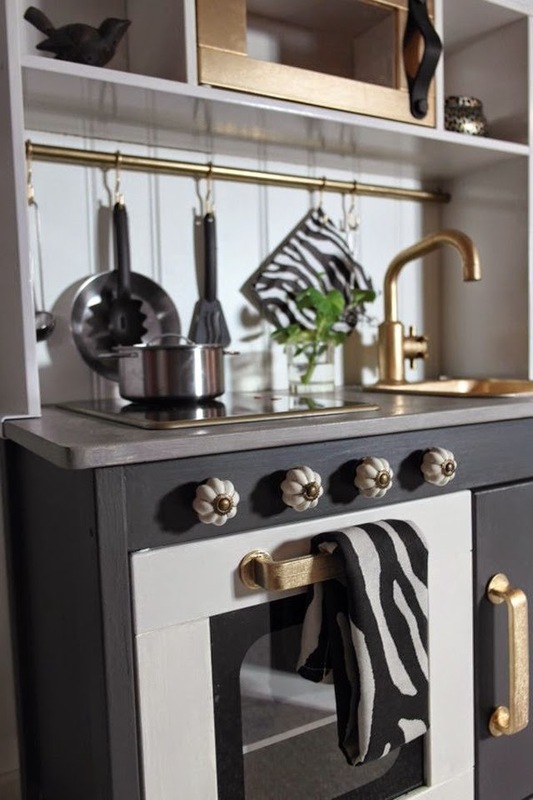 I also need to make some decisions on chairs, install the laundry room hardware (I think I'm going with these beauties), make art decisions, and pray for a kitchen fairy to replace our decrepit refrigerator in time for the final reveal. I'm sure that last one will be successful. You guys. Week three is on fire!!! Things are coming in and I am getting rul rul ambitious. First, if you haven't been following thus far (umm...why not? 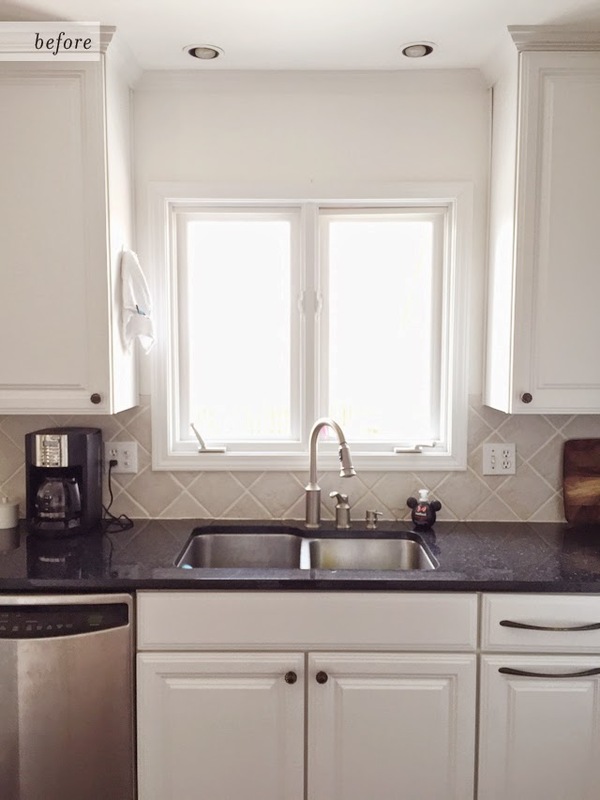 ), check out why I decided it was time to give our kitchen a facelift here, and what my plan of action is here. Once you've done these things, please proceed. 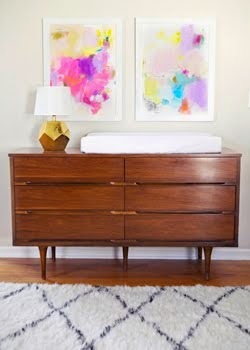 I went with the smaller of the two sizes, but know that there are options if you need more impact in a larger room. Oh, I love her so. I also scored a few fabulous vintage items last week, like this brass wine rack and a set of three marble tea light holders. Perfect bits that will compliment my new The Aestate print nicely for the countertops. The bamboo blinds for the kitchen sink are in as well. Yay privacy! I ended up going with these (against my better judgment given my trouble with Overstock during the last ORC). They're not out of the box yet, so I'll have to report back. Could be an elephant in there for all I know. 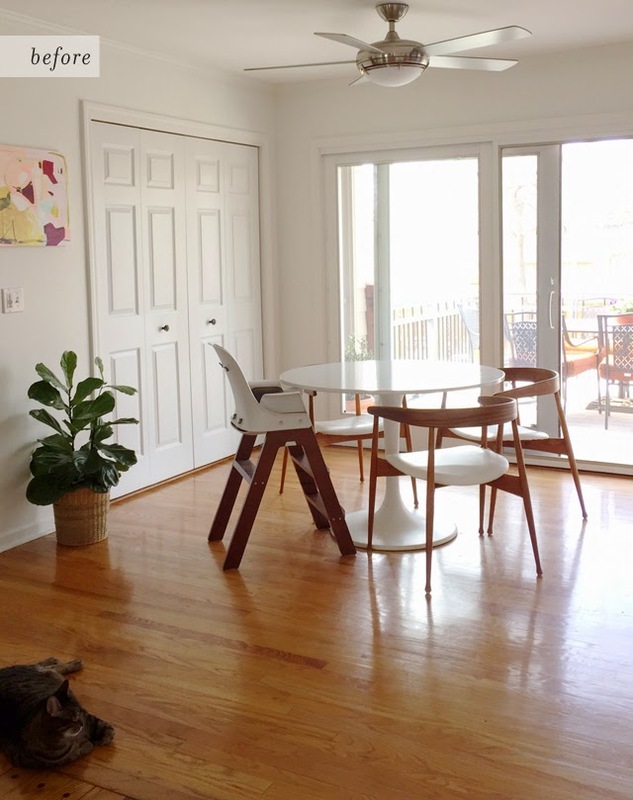 I'm still debating whether to keep the existing mid century chairs or switch back to our bentwoods. 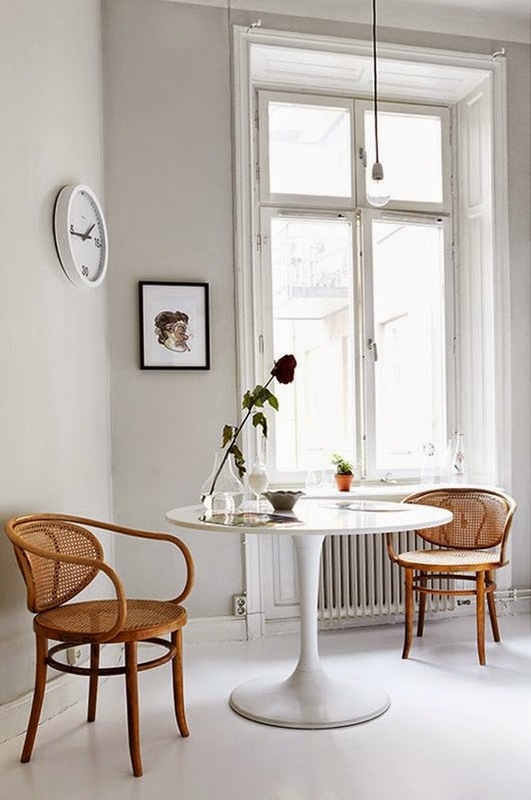 I LOVE the chairs that we have now, but the legs protrude at just enough of an angle in our tight space that we're constantly kicking them. I thought maybe we would adapt, but not so. The bentwoods have a nice, small footprint. So that's still in the air. I'm imagining a combo of pretty much all of the above. 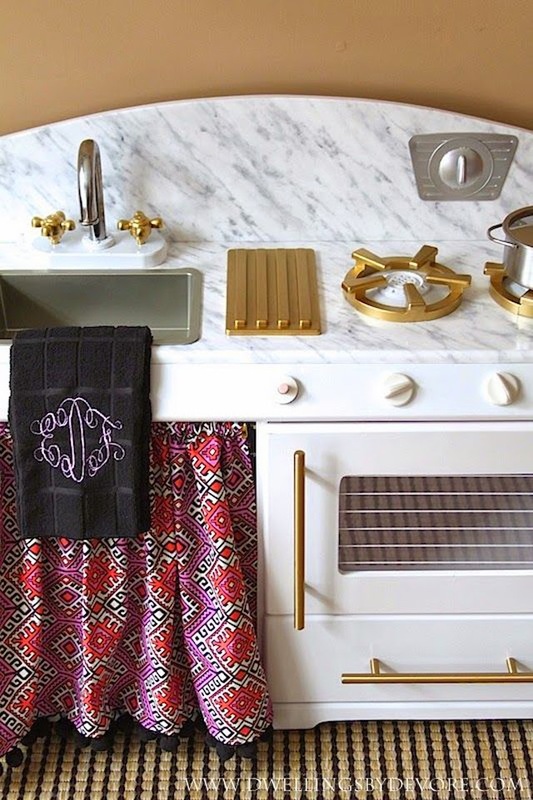 White uppers with gray lowers, brass hardware, brass faucet, countertop treatment, stylish "burner" knobs, etc. Those of you that have been around awhile know that I am NOT a DIYer in the least. I love it in theory. But I work with hundreds of creative folk everyday that put me to extreme shame. I'm setting a high bar by even mentioning it and making you anticipate the results. Anything for the babies, right? I'm planning to paint a faux marble countertop. If all goes well, I may apply the same treatment to our DOCKSTA tabletop. DIY. TIMES. TWO. Man, I'm getting crazy with these ORCs. That's all I have this week. Keep up on Instagram for the latest. Let's go see what everyone else is up to, shall we? 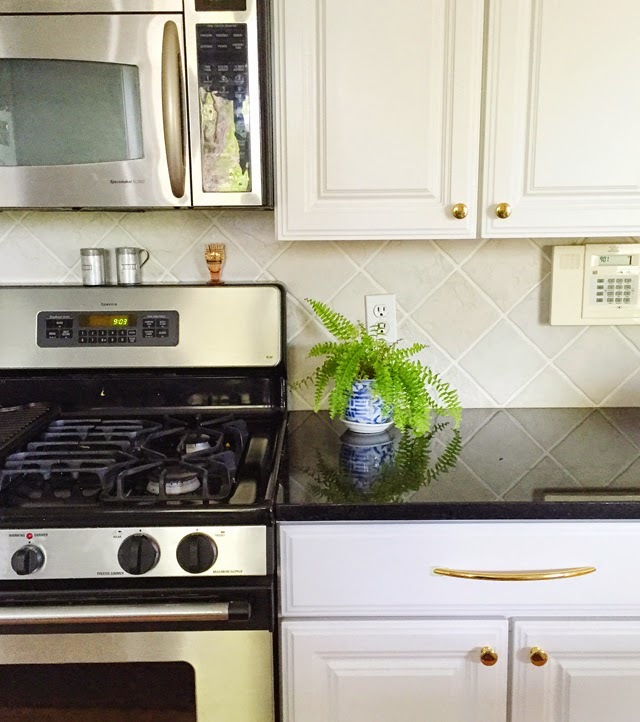 I've narrowed down a lot of things about my One Room Challenge kitchen and eat-in makeover (exciting update coming Thursday! ), but art is not one of them. 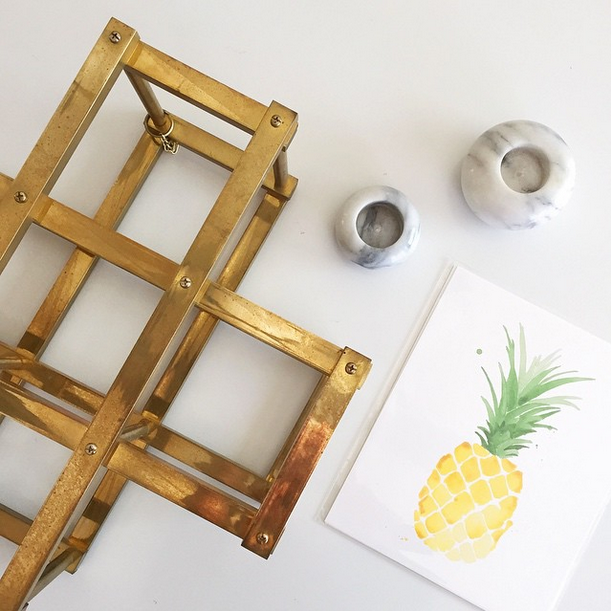 I did pull the trigger on a pineapple print from The Aestate, but I have a few more decisions to make before it's all said and done. These are just a few of my favorites as I've been searching. Pretty easy to spot a theme there. I heart color. Do you have a favorite? Welcome back! 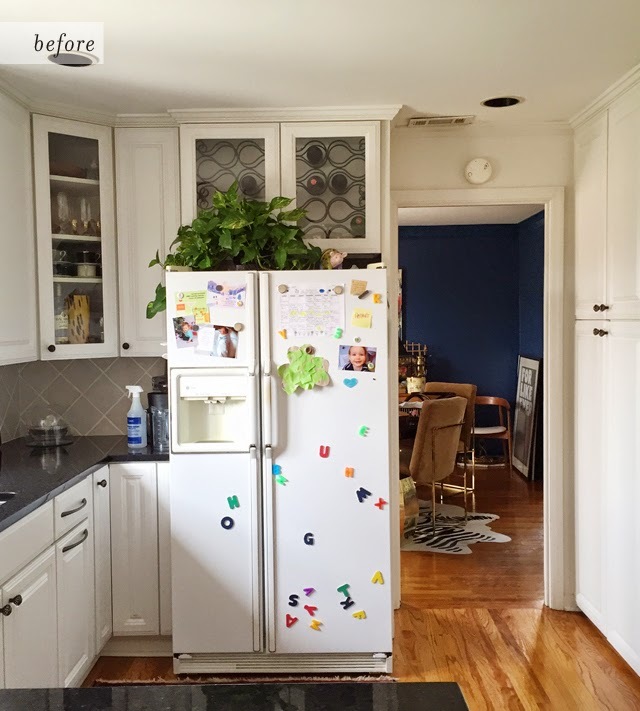 Last week, I revealed that I will be giving our kitchen and eat-in a few updates as a linking participant in the One Room Challenge. (Check that out here.) This week, I reveal zero percent progress (kitchen-1, Tobe-0). But I do have a solid plan, so there's that. 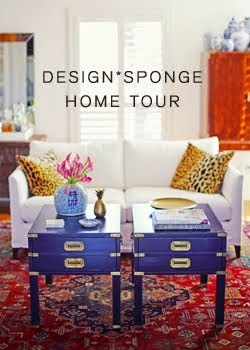 For those of you that aren't familiar with my style, I'm literally attracted to all decor genres. My "gift" is applying all of these styles in one place, and pretending that it doesn't look like a hot mess. Mind you, I am also a vintage goods slanger with inventory that is in constant flux...all over my house. So things change quite regularly around here. 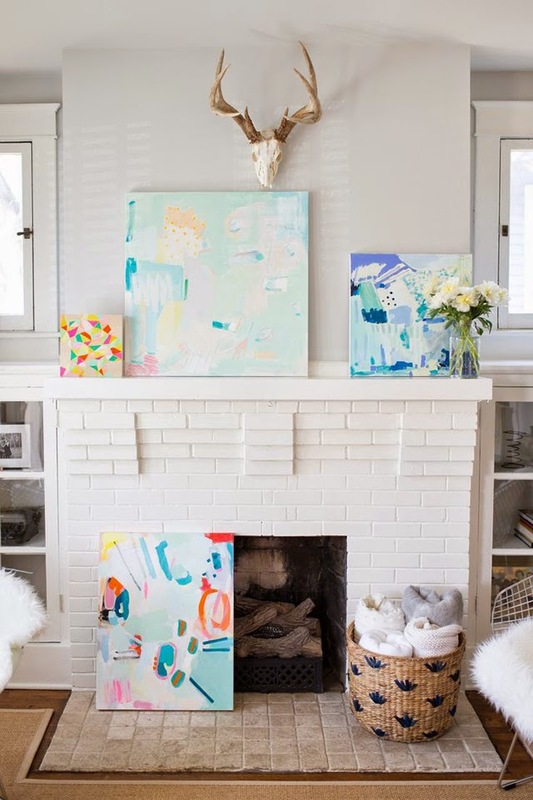 And the interior designer trapped inside really loves that, because it means that I get to buy all of the things and then constantly move them around ask my husband to move them around. 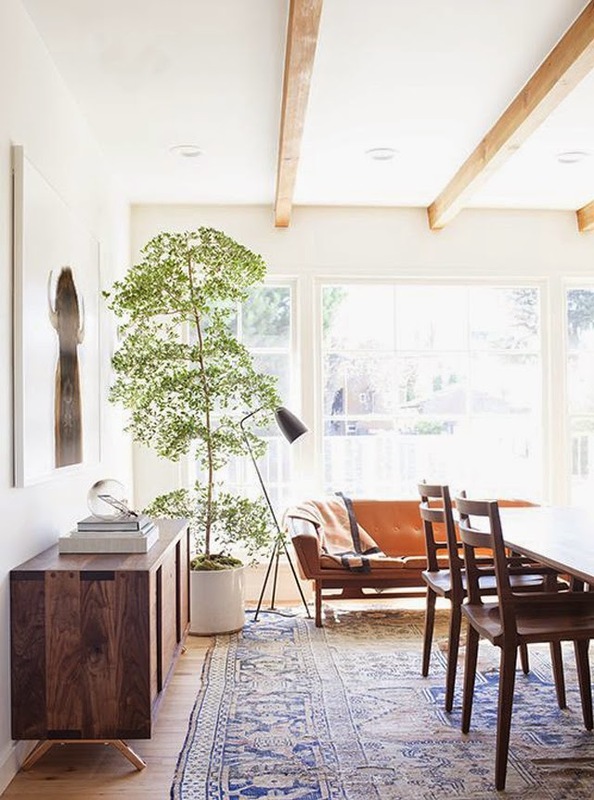 As my business evolves and we look at getting an actual space to store our shop goods (we being my mom and I, as we are in business together), I've been thinking more and more about the overall vibe I want for our home. The truth is, I started decorating this space well before considering a family. (Read: children.) Now that our little has arrived, I recognize that some things could change. I'm hankering for a cozier, comfier, quieter look and feel. Less precious. Visually calming. 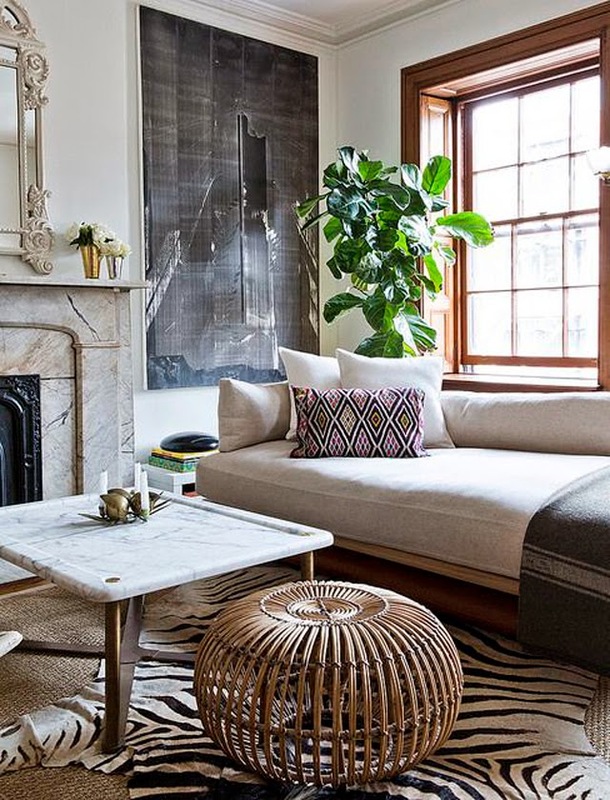 Layers of texture instead of layers of color and pattern. Easy on the eyes after a long day at the office. Now let's go see what everyone else has planned for their spaces. Whose rooms are you most excited about following along with? There are a few that I'm definitely eager to see progress from today! Helloooooooo. 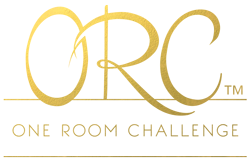 So you will never guess who just decided yesterday to participate in the One Room Challenge™ as a linking participant this round? YES. 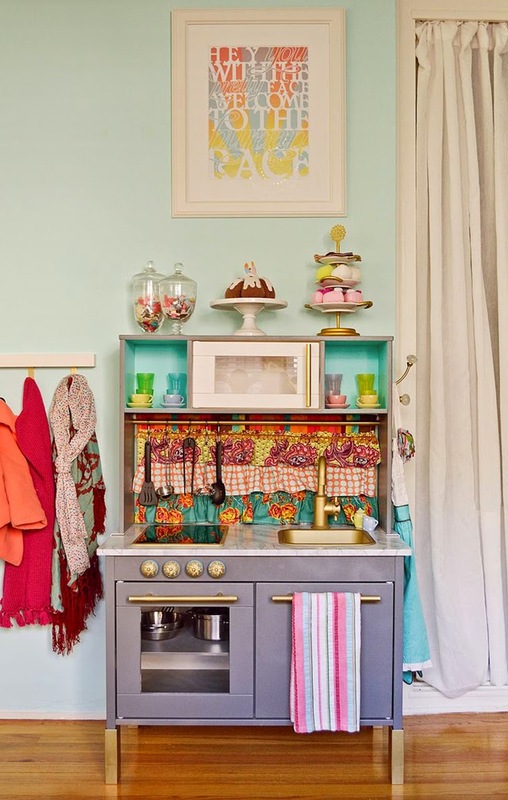 Because I love that this challenge, albeit mighty stressful at times, forces me to finish a space -- a feat that might will otherwise take years to accomplish. Plus, there's truly nothing like the camaraderie of this challenge and those who participate. Who doesn't love decorating with cheerleaders?! So here I am, back for round three! For those of you that might be new here, welcome! 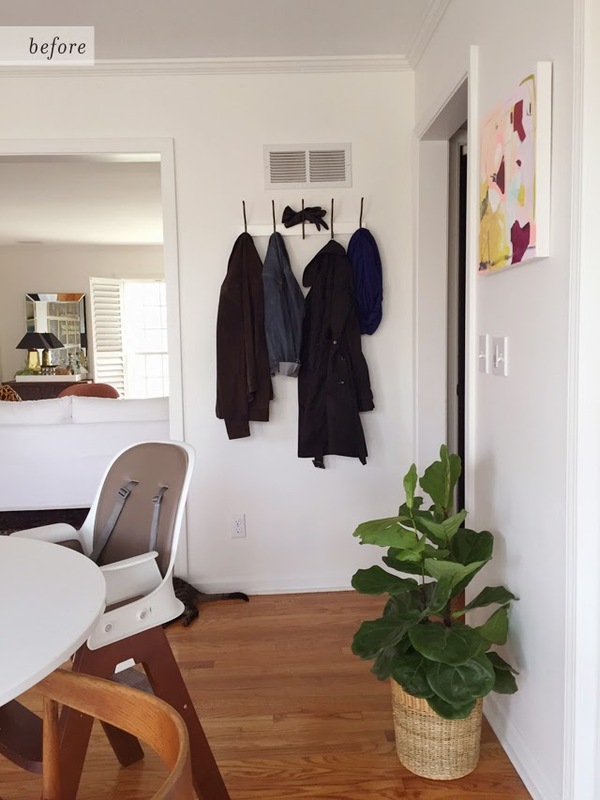 I am a two time participant in the ORC (my home office in spring 2014 and our master bedroom in fall 2014) and I've been blogging here at Because It's Awesome since January 2011. 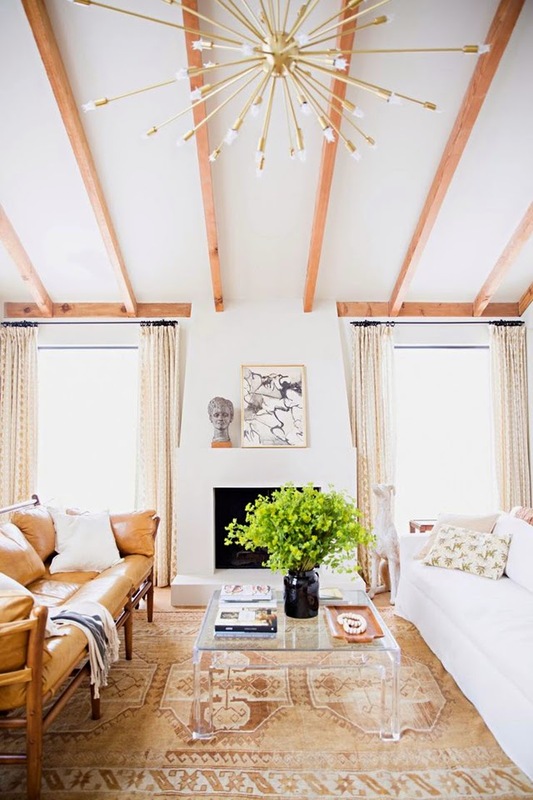 Initially about all things design and lifestyle, but over time, I have developed a devoted passion for interiors. I was honored to be tapped for a One Kings Lane Tastemaker Sale back in March 2013, where I continue to sell unique vintage treasures, many of which are in everyone's favorite metal. 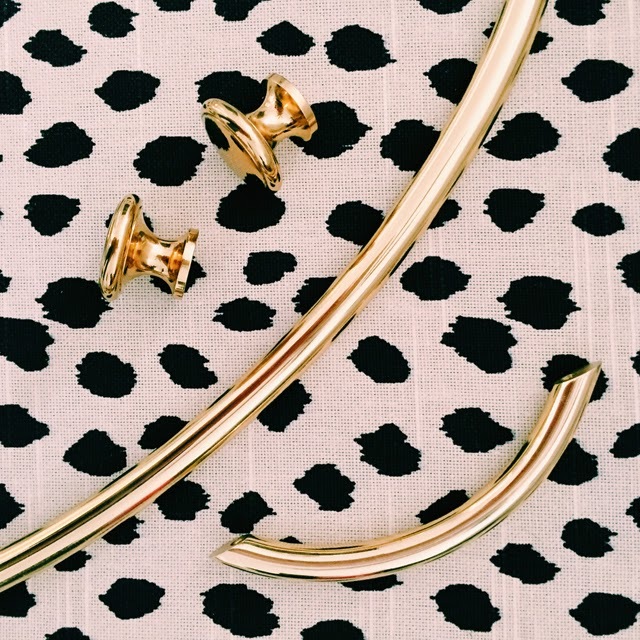 Brass. If you take nothing else away from this visit, please remember the brass! I'm currently in the process of opening a shop of my very own (! ), so stay tuned there. Whew. On with the show. I've chosen to focus on our kitchen and eat-in this time around. 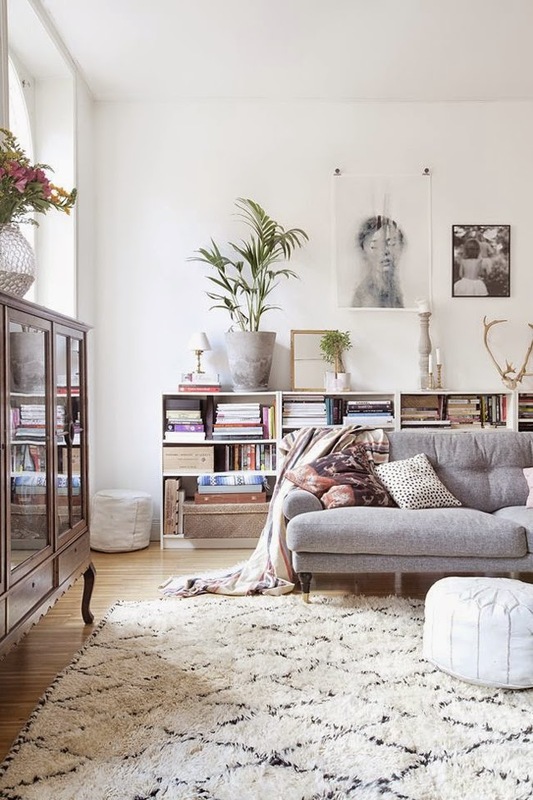 While there is nothing particularly wrong with these spaces, they are definitely lacking personality and style. See what I mean? We inherited a beautiful remodel, but have dragged our feet putting the finishing touches in place. 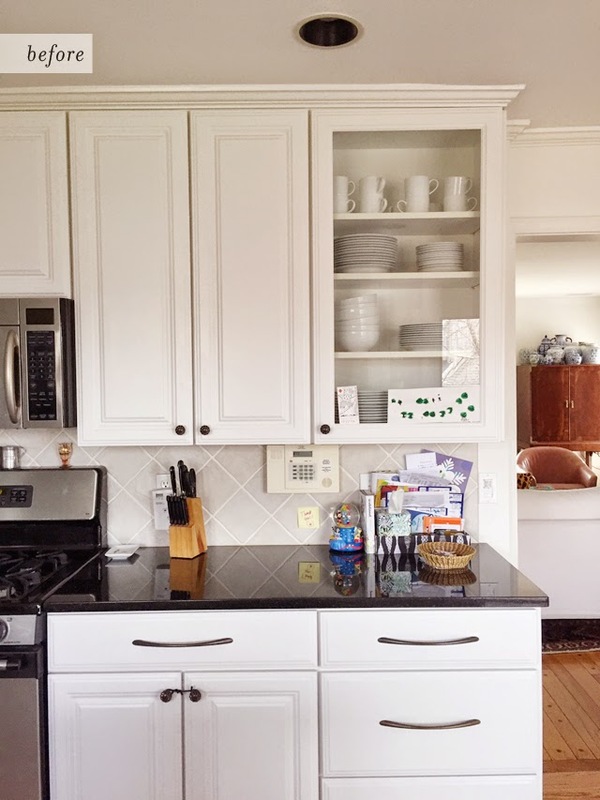 Oh, I'd love to be replacing countertops...ripping out the backsplash...swapping out for french doors...and -- for the love -- banishing that terrible fridge. But these big ticket items certainly aren't necessary changes, so I get no buy-in from the hubs. 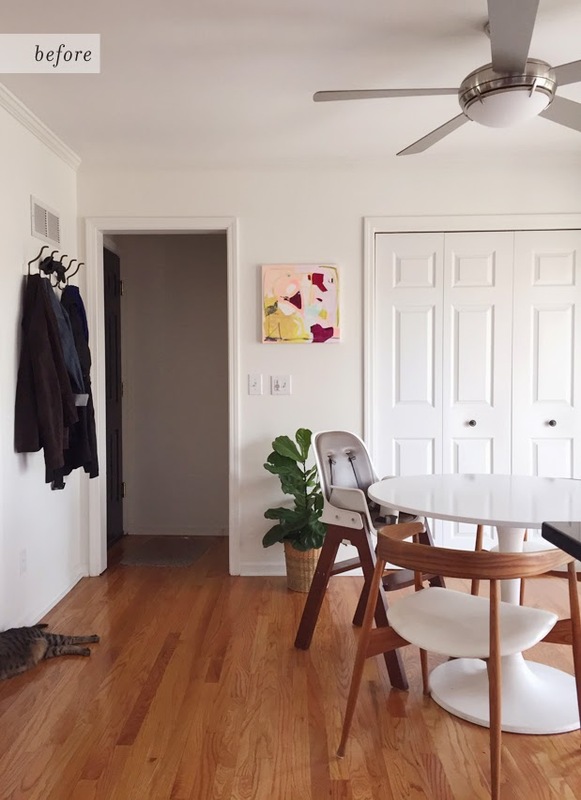 I am thrilled to have at least finally convinced him that the fan above the table must go (after only about 3 years of protest). 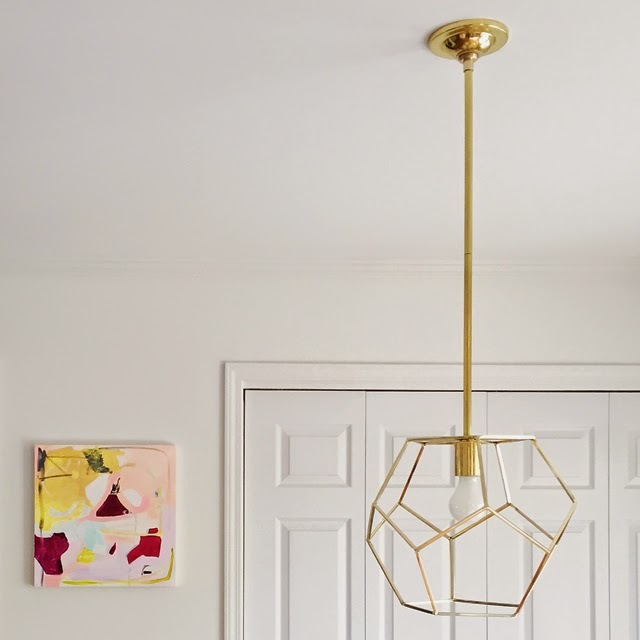 We will replace that with a lovely pendant fixture. 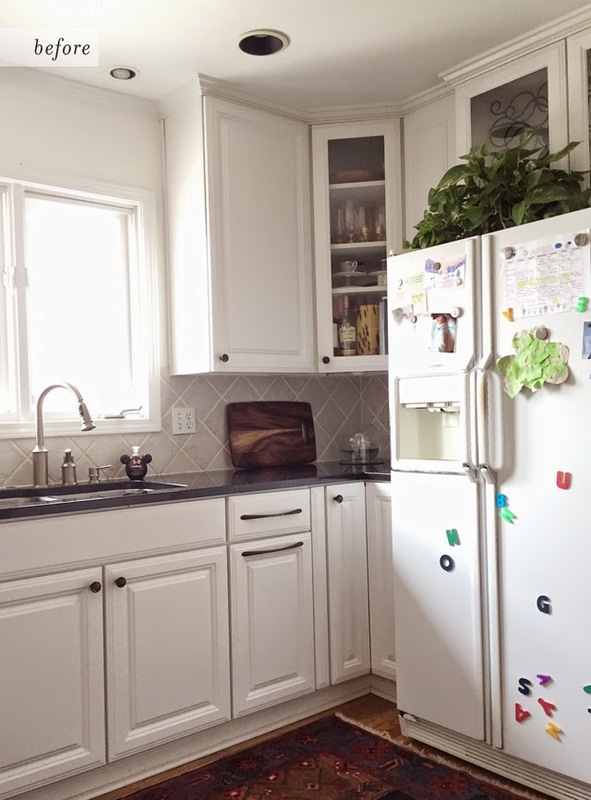 I also plan to freshen things up with new cabinet hardware, I'll give that fridge a bit of a makeover since we still have to look at it, add window treatments, do some general sprucing with decorative accessories, and solve for a few functionality challenges. 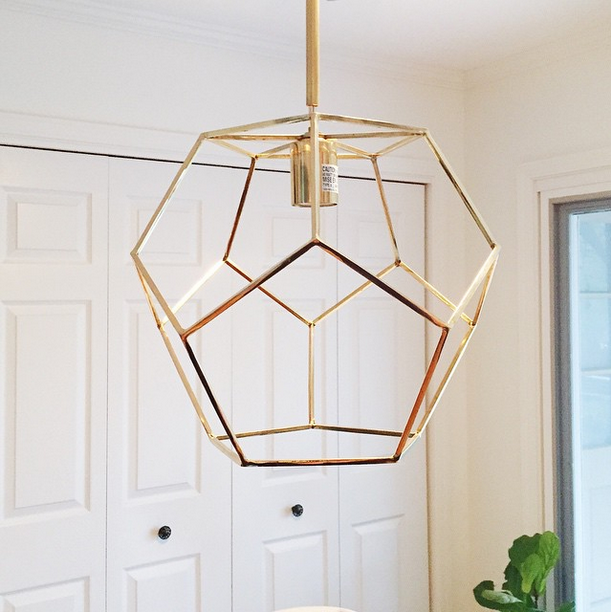 More specifics about the plan and my inspiration for the space next week, so stop back by!